Welcome to our blog countdown to the announcement of our ONE Africa Award Winner! The Africa Award recognises Africa driven and led advocacy efforts that have demonstrated success at community, national or regional level. It aims to recognise and reward the exceptional work of organisations dedicated to helping the continent achieve the Global Goals. The winner will receive $100,000 and well-deserved recognition for their efforts in fighting poverty and progressing African innovation, commitment and success! Our third finalist is Community Link, who since 2009 have promoted and created sustainable, self-reliance strategies to support refugees in the Nakivale settlement in Uganda. Nakivale is one of the oldest settlements in Uganda with nearly 77,000 people from more than seven countries of conflict. Community Link focuses on a self-reliance strategy to improve the livelihood of refugees by providing a foundation for the social and economic ability of individuals and communities. One such project is the creation of an electricity plant that uses a maize milling machine to provide electrical power to 100 surrounding homes in the settlement. 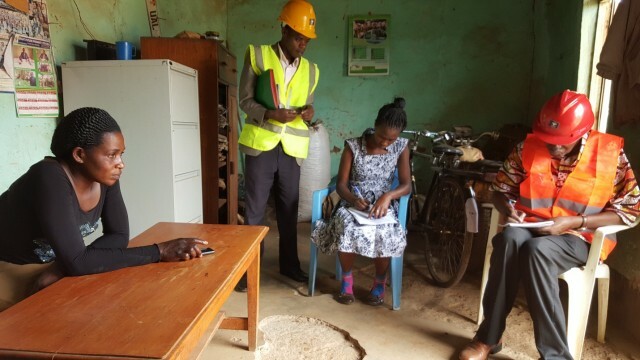 A large converter is connected to the motor of a maize milling machine to convert the power into electricity, which is then sold to Nakivale residents via their mobile phone connection. One result of the electricity project is that resident Demou-Kay has made a radio transmitter from second hand electronics and set up a radio station – the only one in the settlement. The station transmits over a 5-10 km radius, providing songs, news updates and health messages to listeners in the area. A month into the station being established, a family were reunited thanks to a radio communication about new arrivals to the settlement. By charging a small fee for song requests and CD/DVD recording, he has begun to generate income from the station, which helps Demou-Kay to maintain the project. Another result is to provide lighting in the classrooms at night, improving student performance in the area greatly. This has helped reduce the secondary school drop-out rate in the refugee community. Health centres can also now operate 24 hours a day which has had a huge impact on community wellbeing in the settlement. Find out more about our last finalist tomorrow, and follow us on Twitter to hear which organisation wins the 2015 ONE Africa Award.